The owner, Joel LaFleur, has been a "hands on" home improvement contractor for over 20 years. His extensive experience in kitchen cabinet refacing, carpentry, kitchen and bathroom remodeling, and tile work can assure that the job gets done right. 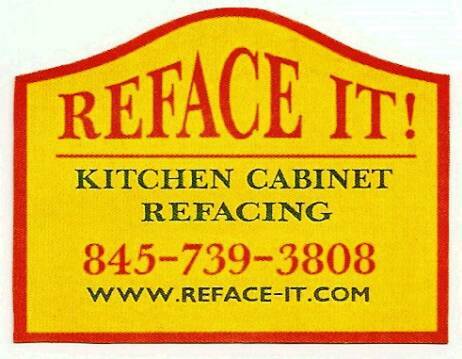 Reface It! has been a family owned and operated business since 1989. 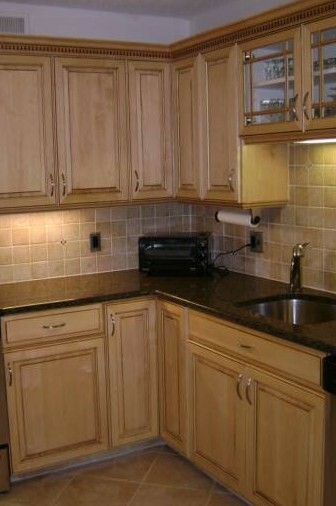 All cabinet refacing is done by us, not subcontractors. We provide free in-home estimates with no obligation on your part. - You are welcome to go see completed kitchens, and just ask us for a past customer list with phone numbers and addresses. Read the testimonials throughout this website, and see the pictures of our work. Over 80% of our total business comes from happy customer refferals! - All of the jobs are done by either Joel or Jeff LaFleur, both having many years of experience refacing kitchens. Reliability and exceptional work has kept us in business for over 20 years. - Anything you need done on your kitchen can be done directly by us. If any work is beyond our experience, we can recommend a qualified professional that has worked with us before. 4) To be able to use their kitchens as soon as possible. - You can use your kitchen before, during, and after we leave each day. Nothing has to come out of your cabinets while we reface, so any disruption is kept to a bare mimimum. 5) An affordable price, therefore making it a great investment. - We can reface your kitchen with the highest quality solid wood doors, drawer fronts, plywoods, and trims for less than half the cost of installing all new cabinets. "Everyone who sees our cabinets think that they are new cabinets. They can hardly believe it when we tell them that they have been refaced. It was definitely worth refacing them and saving money in the process. We're so thrilled with our new kitchen that we would like to see others share in our success with hiring Reface It". Click on "Our Green Page"